Since it began, the ILMC Production Meeting has become one of the foremost platforms for international production professionals to meet, network and discuss the most pressing issues affecting the industry. 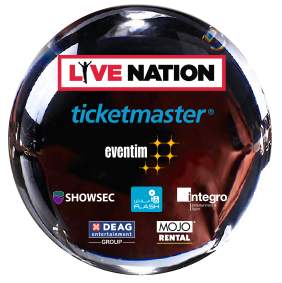 In 2018, 200 or so of the world's most renowned production managers; health, safety & security specialists; crewing companies; sound and lighting companies; venue personnel; staging & infrastructure companies; transport & travel specialists; new technology suppliers, and promoters' representatives made their way to London for this one-day event, which runs the day before ILMC kicks off. IPM 12 will take place on Tuesday 5 March 2019, again hosted in the larger surroundings of the Royal Garden Hotel’s main conference rooms, providing ample space for the day’s programme. Communal networking areas are shared with delegates of the Green Events & Innovations Conference (GEI) that takes place simultaneously in the Royal Garden Hotel. To maximise the exchange of experience and information IPM & GEI will this year share some of the programming, tying in elements of production and green innovations. The programme of IPM is a mixture of panel topics and Production Notes sessions, which showcase new ideas and innovations in short-format presentations. A delegate pass to IPM includes a five-star buffet lunch, which this year has been kindly sponsored by our friends at Drone Seeker, access to all conference sessions, tea & coffee breaks, an IPM conference guide with full delegate information, and entry to the IPM Closing Drinks party. Each edition of IPM is hosted by a renowned figure from the production world. Previous hosts have included Dan Craig, Lee Charteris, Bryan Grant, Keith Wood, John Probyn and Carl AH Martin. 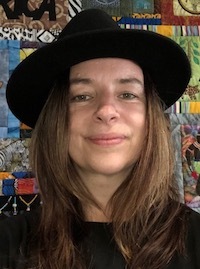 IPM 12's day host is Rachel Haughey who is no stranger to IPM or the production industry, having spent over 20 years producing international shows. Rachel is passionate about event production as a powerful tool for social change. In 2010, she founded the Youth Production Network o support young people with a passion for event production, and last year, Women Walk Together, the first-ever global showcase for women in event production. Rachel is director of Four Corners of the World alongside her co-director Barrie Knight. Rachel will also be chairing the IPM & GEI Round Table: Here’s to the Future – Inspiration for the Next Generation, giving a voice to younger generations and providing them with the opportunity to discuss their visions for the future of event production. IPM 12's day host, Rachel Haughey of Four Corners of the World Ltd (UK), welcomes delegates to the twelfth edition of the conference. The Welcome Address is followed immediately by the first panel. Day Host Rachel Haughey from Four Corners of the World Ltd (UK) and Carl A H Martin from cahm.uk, officially wrap up IPM 12 and invite delegates to join them for a drink or three in the bar afterwards. A final opportunity to mix and mingle, continue discussions and network with fellow delegates of both IPM and GEI after a full day of conferencing. And this time, with a drink in hand. A delegate pass to IPM includes access to all conference sessions, a conference guide containing all IPM delegates' contact information, complimentary coffee & tea, a five-star buffet lunch, and a closing drinks party in the company of peers, GEI delegates, and early-bird ILMC delegates. both ILMC and IPM please register here. Alternatively, please contact registration@ilmc.com. Subject to availability, The Tour Company can offer IPM delegates assistance in booking first-class accommodation at the Royal Garden Hotel for Monday 4 and/or Tuesday 5 March. Unfortunately, rooms aren't available from Wednesday 6 March onwards when the hotel is exclusively reserved for ILMC delegates. For information please click here or call +44 (0)141 353 8800. To mark its 10th anniversary in 2017, IPM introduced a Bursary Scheme for young production professionals. The scheme is intended to provide a route for those who would otherwise not be able to attend, to participate in IPM for the first time. To apply for the IPM Bursary Scheme, please click here. Please note that applications must be received by 18:00 on Friday 15 February 2019. IPM is proud to welcome a truly international group of production specialists year after year. Click the button below to see a list of registered IPM 12 delegates. This list will be updated on a weekly basis until the conference has taken place.